We offer apartments on the sea side and wooden chalets for family vacations and sporting events near 4 beaches with transparent water. Cala Llevado is known for its privileged location beside the sea, its activities and nautical sports, adventure and gastronomy. Cala Llevado is situated on the Costa Brava next to the Ardenya natural park, less than an hour from Girona airport and within reach of many areas of cultural interest such as the exciting city of Barcelona with its variety of museums, Girona, Figueres (Dali museum), ruins of Empuries, Montserrat etc. You can also find a wide selection of shops and restaurants in the area. 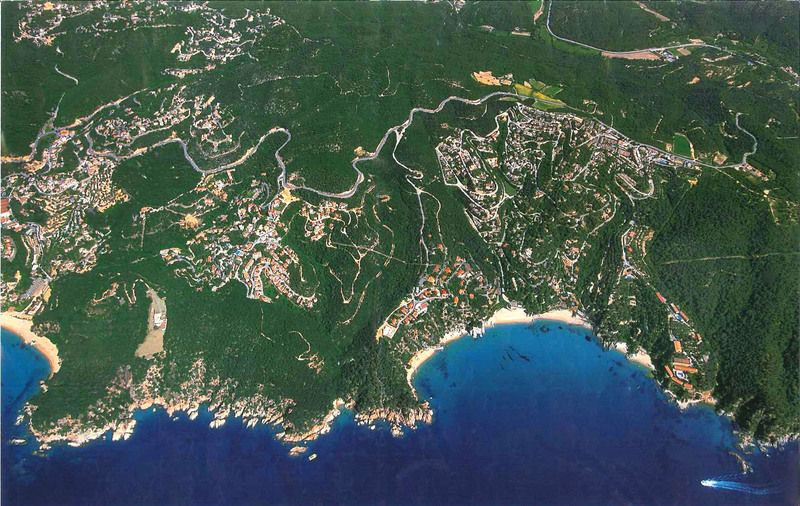 Located on the Costa Brava, 3km from Tossa de Mar and 80km from Barcelona. Taking the AP-7 motorway, exit 9 direction Lloret-Tossa de Mar or by the C-32 untill Blanes and from there take direction Lloret - Tossa de Mar on the local road Gi-682, km 18,8.